Revive your living room with a stylish yet comfortable piece of furniture that will make you want to sit back and relax. This amazing Castello Occasional Chair is certainly a fine choice. The Castella chair is smartly designed with closed comfortable armrest and tuff solid wood legs. The Seating is crafted with super soft cushions and high-quality fabric to ensure durable and complete comfort. The venus brown shade of the chair blends perfectly with your existing decor and will only add a sense of elegance to your room. 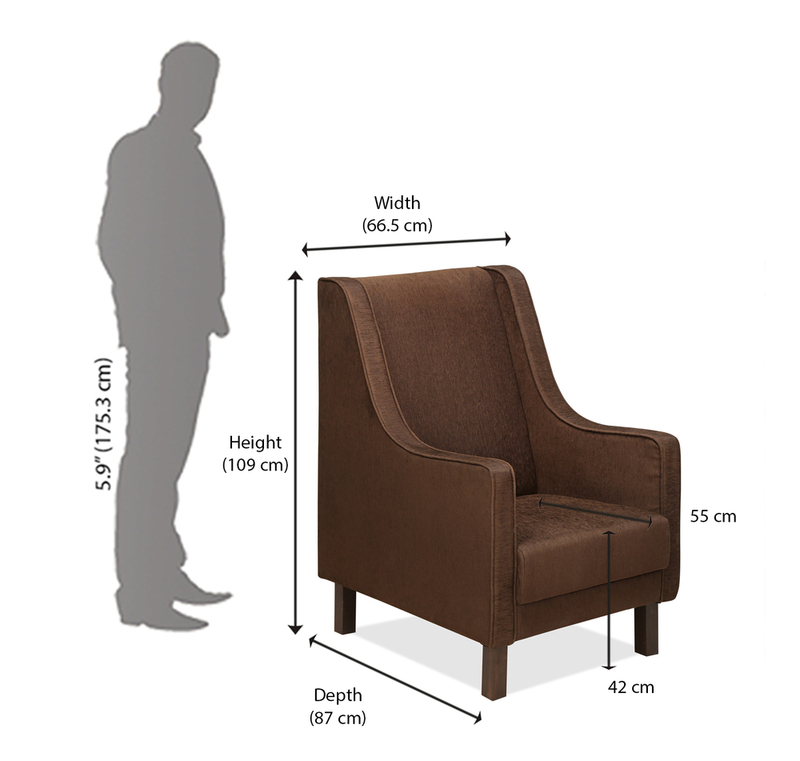 This chair could fit ideally in a bedroom, hotel or balcony. Upgrade your regular seating techniques with some aesthetic ones. Stylish Arms with comfort seating that can match with any Decor.Quilting on side Arm Chair gives extra cushioning.